SeaWorld, it appears, has more outspoken enemies than friends on Twitter. So when it solicited questions about its animal care online as part of a new marketing campaign this week, it seemed to fuel critics rather than dissuade them. SeaWorld (SEAS) came under fire for its treatment of killer whales when the documentary "Blackfish" aired on CNN in 2013, criticizing the company's practices. PETA, the People for Ethical Treatment of Animals, has long called out SeaWorld on its animal care. "Why do you LIE & tell guests collapsed dorsal fins are normal when only 1% suffer this in the wild?" was posted by PETA Thursday. It was retweeted 487 times, and went unanswered by SeaWorld directly. The company is trying to set the record straight on what it says is "false accusations by activists who oppose whales and other animals in zoological settings." 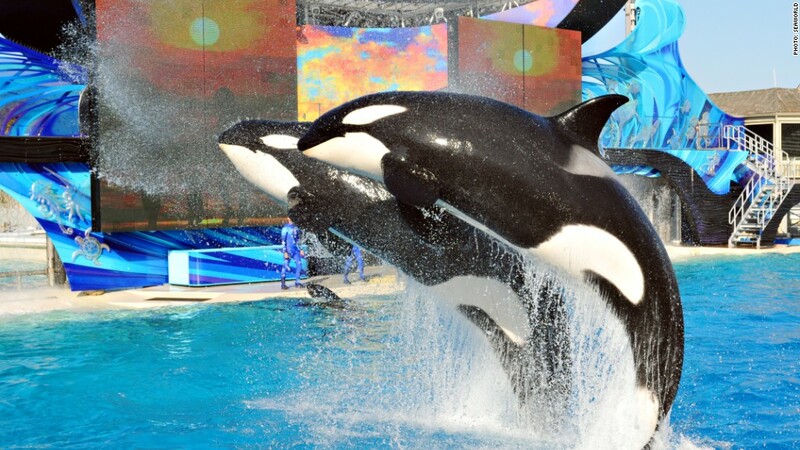 SeaWorld is encouraging people to use the hashtag #AskSeaWorld on Twitter to ask about topics ranging from breeding to conservation to safety and training. Some questions and answers are posted to the website AskSeaWorld.com. But a lot of the questions came from activists and animal lovers unhappy with the company. "Why are your parking lots bigger than your Orca tanks?" asked several Twitter users. On Friday, SeaWorld addressed what it said were thousands of trolls and bots, hijacking the Q&A. "No time for bots and bullies. We want to answer your questions," it posted on Twitter. The "Ask SeaWorld" campaign is only part of the company's new marketing push. A website SeaWorldCares.com features videos, research and articles showing how it's a leader in the care and protection of killer whales. The negative image hasn't helped the company's stock. It's down nearly 40% in the past year and is about 50% below its all-time high. SeaWorld could not immediately be reached for comment.